Dylan Hausthor is a photographer, filmmaker, and editor based on a small island off the coast of Maine. 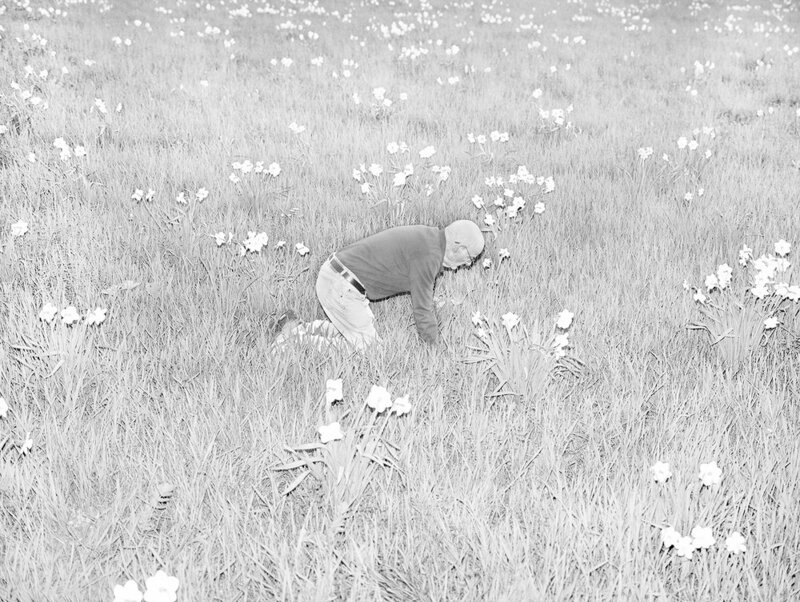 His work is an act of hybridity–an effort to render field recordings into myth. Interested in small-town gossip and the fragility of journalistic truth, his work examines the haze between autobiography, editorialism, fiction, and fact. He subscribes to emotional cohesiveness in his work and relies on vignettes, tangents, and tropes of conceptual art to find stories at the end of dirt roads and the tops of fir trees. Hausthor’s work has been showcased nationally and internationally by the Aperture Foundation, Ain’t-Bad, PHMuseum, Humble Arts, Nava Print Studio, Gomma, Yogurt Magazine, Void, and LensCulture. He founded Wilt Press in the spring of 2015 and is a current artist-in-residence at the Ellis-Beauregard Foundation in Rockland, Maine. A few weeks ago my friend lit another friend’s barn on fire. She set the blaze out of spite, simultaneously incited by gossip and provoking gossip. After a few minutes of watching the fire creep up old barn wood she–who was 7 months pregnant–felt her water break, going into labor four weeks early. She ran across the street to the property owner's house demanding a ride to the hospital as the proof of her arson was smoking right behind her. Small-town gossip, elementary humanity, relationships to the land, and spectacle inspire the stories in my work. The characters and landscapes in these images are documents of the instability found in storytelling—told by an even more precarious narrator. I hope these images act as gossip in their own right: cross-pollinating and alive. The often disregarded underbelly of a post-fact world seems to be the simultaneous beauty and danger of fiction. I began making images as an act of hybridity: weavings of myth filled with tangents and nuances, treading the lines of editorialism, spectacle, and an examination of the absurd stories found in nature. I’m interested in pushing past questions of validity that are traditional in documentary photography and into a much more human sense of reality: faulted, broken, and real. When and where did Past The Pond, Setting Fires begin? This intention behind image-making began during my last year of undergrad. I made a short documentary on a goat farmer, spending seemingly infinite hours listening to his stories of rouge Budweiser-fueled teenagers thieving his milk, tying fireworks to sleeping snakes in order to stave off the gloom of winter, and Listening to the intensity of his gossip was inspiring and comforting. As America's political landscape began to slide into a darkness characterized by hate, lies, and hearsay, I found my faith in photography (a medium itself steeped in a tradition of lying) challenged and renewed. Journalism suddenly felt like the highest form of art and the importance of truth couldn't be ignored—this realization drastically shifted my mindset when making images. The final form of this work will certainly be a book. This fall I had an exhibition of a select few of these images at a gallery in Portland Maine. In putting together the exhibition and catalog, it became clear that the images needed to be read sequentially. Past The Pond, Setting Fires is definitely an ongoing project with no set conclusion. The title will probably change at some point too. I look for tangents and dialogue throughout the images during the editing process– always reusing and remixing ideas, images, words, conceptual barriers, and intents: finding cohesion retroactively. I'm happy to give this project enough time to sit and marinate in the mud until it tells me it's dead. I shoot a roll of film every day but only very intermittently have the funds to develop them. I work as a farmer, cinematographer, editor, writer, and do some freelance photo work—all of which I love deeply, and help to sustain everything in my life. Visits to my family, this tiny island I live on, NPR, whispering spruce needles, and the many stories I hear every day help me remain productive and fuel my need to make images. Also, the fact that frogs can't drink water through their mouths is very inspiring to me. I run a small art-book imprint and music label called Wilt Press, we have a few upcoming projects that we're publishing that I'm very excited about and a few upcoming book fairs that I can't wait to attend. I'm humbled to be part of a few upcoming exhibitions—the biennial at the CMCA here in Maine, a lovely new gallery in New York called Launch F18, and I'm so thrilled to be showing some work alongside two of my favorite photographers at Silver Eye in Pittsburgh in the new year. 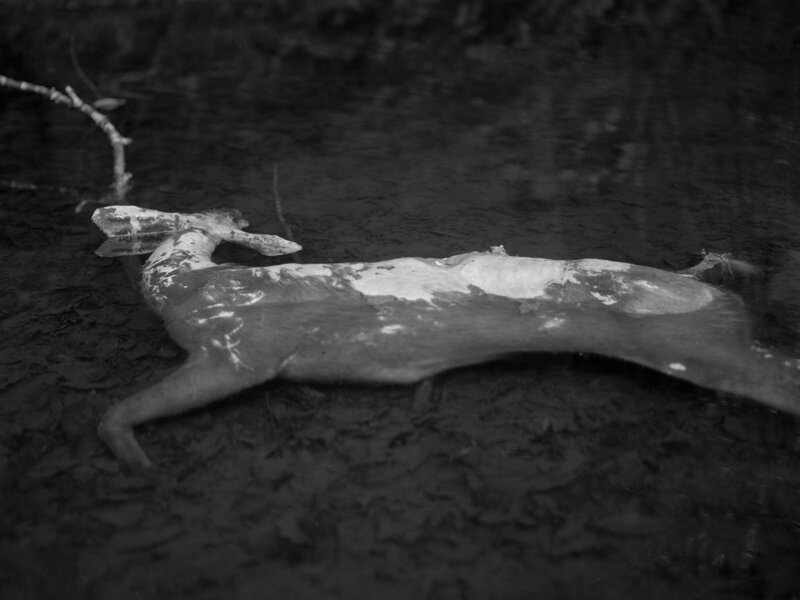 I'm also working on finalizing a long-term book project with my dear friend and frequent collaborator Paul Guilmoth: a project titled Sleep Creek. I've recently been obsessed with the author Annie Proulx and the photographers Tanyth Berkeley and the legendary Susan Lipper. I also can't stop listening to Grouper.